1. both parties agree to the divorce and sign the required documents. 2. one party does not respond to the divorce proceedings. A fast uncontested divorce can be obtained if the parties agree to all terms and sign the required documents. Usually this includes the signing of a separation and property settlement agreement, but an agreement may not be necessary in all cases. An uncontested divorce can also frequently be obtained by publication in the newspaper. 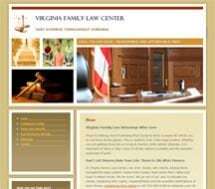 If your spouse lives outside of the state of Virginia (in another state or country), or you cannot locate your spouse, divorce by publication is an option. If a spouse does not respond to the notification of the proceedings, the case proceeds as an uncontested divorce. CALL NOW FOR A FEE QUOTE! AN ATTORNEY IS WAITING TO HELP YOU!